Home debate goalies Marc Andre Fleury Matt Murray Pittsburgh Penguins. Murray or Fleury? The Pittsburgh Penguins have your answer. I could not agree with their sentiment more. Are you still unsure if having two world-class goalies is a good thing? Are you still on the fence on which should be put on a pedestal over the other? Again, the Pittsburgh Penguins have you covered. 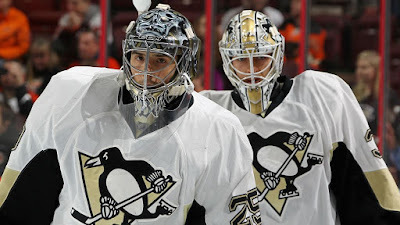 Tags # debate # goalies # Marc Andre Fleury # Matt Murray # Pittsburgh Penguins. Labels: debate, goalies, Marc Andre Fleury, Matt Murray, Pittsburgh Penguins.